A gorgeous and elegant jewelry display box, this wonderful little trinket is ideal for keeping your beloved items of jewelry safe! 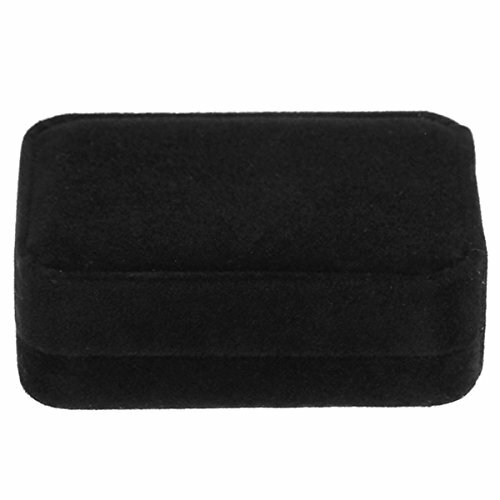 This lovely and fashionable jewelry box has been carefully manufactured out of fine and soft velvet that will protect your fragile belongings and keep them from getting scratched or dented. 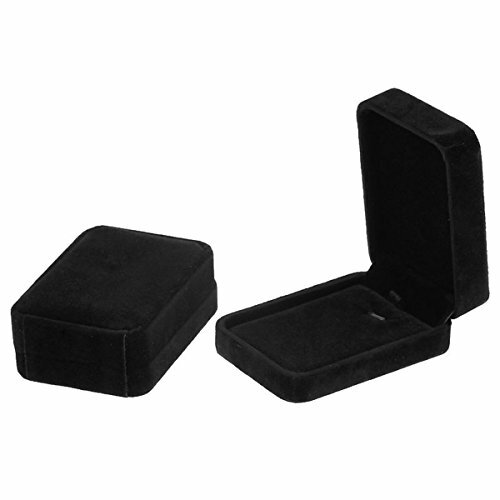 The box is available in a beautiful and classy black color that will daintily highlight your elegant pieces of jewelry! It is fit for jewelry such as necklaces and pendants, pairs of earrings, ear studs and rings as well. 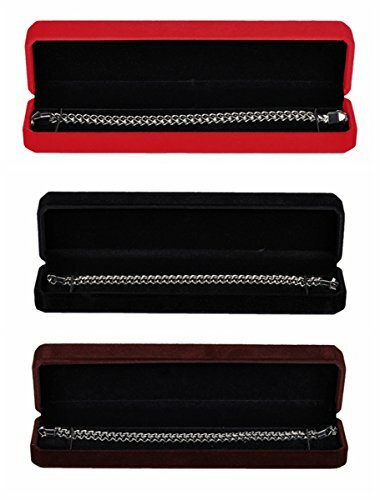 It will keep your precious possessions safe while also displaying them in a very stylish manner! This amazing jewelry box is perfect for the display of jewelry in retail stores as well or you can purchase it for your own use! 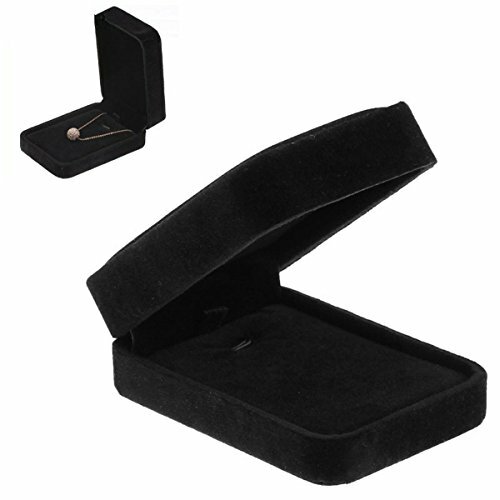 It is a truly chic and well-designed little jewelry box that will present your items of jewelry before your friends or customers in a classy and attractive way! Furthermore, this lovely jewelry box will also help you whenever you need to transport jewelry items as it will keep them safe so you won’t ever have to worry about that! It is beautiful, highly elegant and it is undoubtedly going to prove very useful and satisfying, regardless if you purchase it as a gift for your special ones or for your own use! 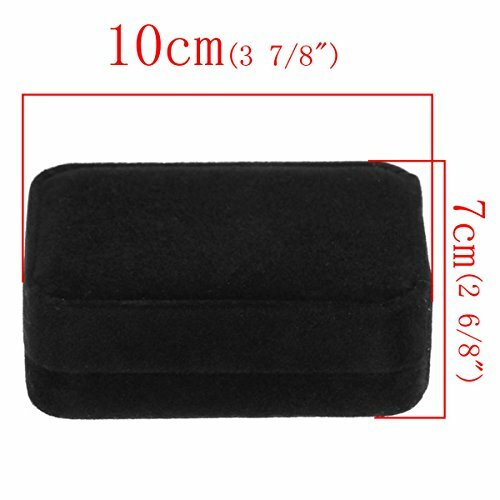 The dimensions of this jewelry box are: 10 cm x 7 cm (3 7/ 8″ x 2 6/ 8″) and thickness – 3.75 cm (1 4/ 8″).